Welcome to Cald’oro - the coffee competence centre! Indulge in the perfect coffee experience - made in Kufstein! Are you looking for the ultimate coffee taste? You’ve come to the right place: we have been the first stop for gourmets since 1947. Our experienced team has a mission to supply premium coffeemaking machines to the different markets in Austria, Germany and other destinations. 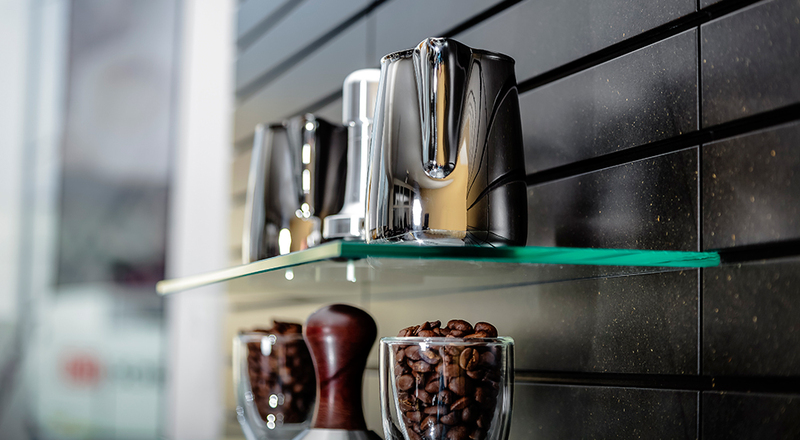 Whether a full automatic machine, office machine, portafilter, milk foamer, coffee grinder, espresso machine or filter machine, our innovative range of products offers you and your customers a genuine taste experience in the cup.